The chief executive of The National Archives has warned that rapidly evolving file formats means "we face the certainty of losing years of critical knowledge". "The ephemeral nature of digital information, resulting from the rapid evolution of technology, is a major challenge facing government and our society today," said the Archive's Natalie Ceeney. The Archives have joined forces with Microsoft to "ensure preservation of the nation's digital records from the past, present and into the future". Microsoft is helping out by providing a system that runs legacy copies of Windows and Office via Microsoft Virtual PC 2007 . As a reciprocal arrangement, the Archives will also provide expertise in digital preservation towards the development of future Microsoft software. Microsoft says it has already contributed greatly to this cause by implementing the Open XML format in Office 2007. "Unless we take action, we face the certainty of losing years of critical knowledge," explains Ceeney. "That's why it is essential that The National Archives, together with the IT industry, address the challenge now. "Our relationship with Microsoft supports our work in digital preservation and gives us many key tools to access the legacy of government for years to come." The National Archives is the government's official archive, containing 900 years-worth of documents and information. Traditionally these were stored on paper, however the Archives say that "the exponential growth of digital information has created new preservation challenges." 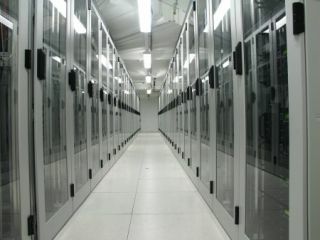 It reckons the information in its stores represent 580 terabytes of data, the equivalent of 580 thousand encyclopaedias. "Microsoft took the step to implement XML-based file formats that unlock data in documents, allowing them to be archived, restructured, aggregated and re-used in new and dynamic ways," says Microsoft UK MD Gordon Frazer. "As a result, the latest releases of Office use open-standard file formats - Open XML. Our [relationship] with The National Archives will go beyond this and ensure that decisions we make in future products will meet the rigorous requirements of digital preservation. More importantly, they will ensure that future generations do not suffer the fate of a digital dark age."